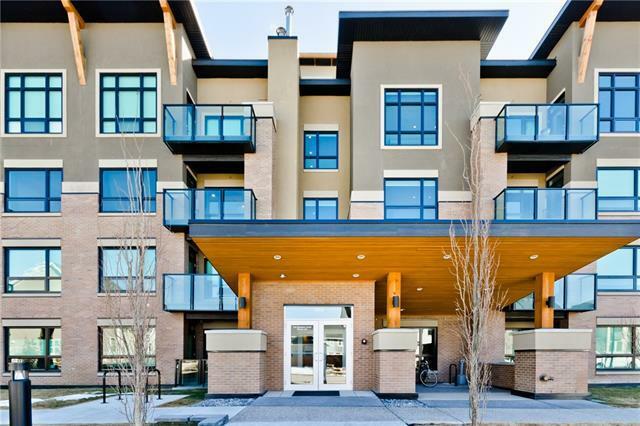 Luxury, location and views PLUS two titled underground parking stalls! 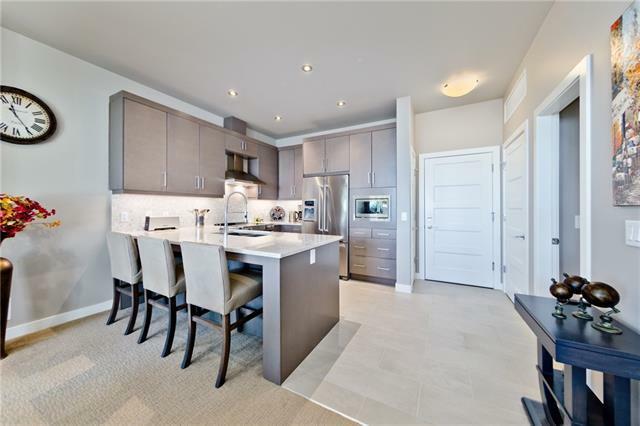 Youll love this meticulously maintained two bedroom plus den top floor condo in the award-winning "Armory" building in vibrant Currie Barracks. This well-appointed home offers fabulous views of the city and mountains. 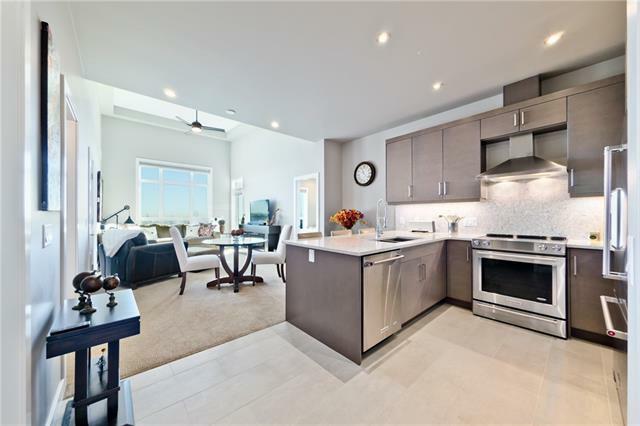 Ultra-high ceilings and a modern open concept welcomes you. The upgraded kitchen boasts quartz counter-tops, high-end stainless steel appliances and abundant cabinetry with soft-close drawers. The master offers plenty of privacy and a walk-through closet leading to a luxurious en-suite with over-sized shower and dual vanities. The second bedroom is complete with a walk-through closet and access to the second full bathroom with bathtub. The den has a custom built-in desk modern and sleek. 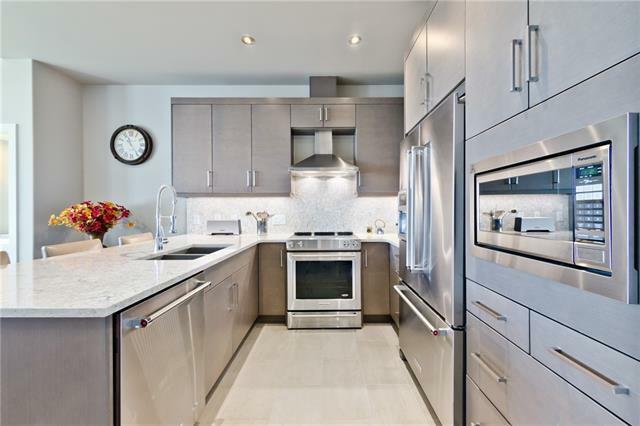 Two underground stalls, locked storage room and in-floor radiant heating complete this upscale condo. Close proximity to Mt Royal, cafes and shopping make it easy to imagine fabulous living from the moment you enter this amazing home!